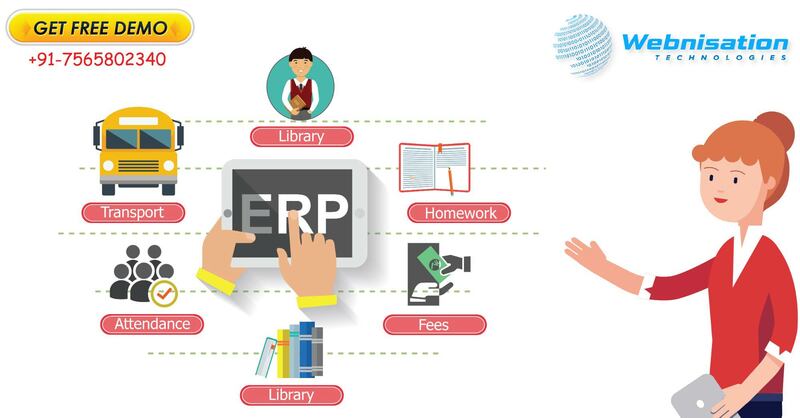 School ERP is the best way to manage a school in a systematic and organized manner. School management software is a tool that is designed for a school, organization, colleges etc. A management solution for the school providing the best results for automating your entire school. It is a paperless school automation solution for present-day schools. The school administration framework gives the office to complete the everyday exercises of the school, making them to quick, simple, solid, productive what's more, precise. We provide a complete feature which helps the teachers to maintain the student records like student's data, classes, examinations, participation, and school occasion’s timetable. Here at Webnisation provides the school a full management system which will facilitate the working and administration of the different parts of the schools, also incorporating the teachers, guardians, students and the schools on a common interactive stage. This software solved lots of queries and enables the students to understand easily and in an effective manner. This also saves your money, human work and time. Webnisation.com is the world’s driving Software Development Company spent significant time in Digital Marketing, Automation, Mobile Application development, Game development, Web advancement and Big Data Analytics. What is online Marketing? How can you grow your business? Grow your Business using Social Media Marketing.